By now, you should have had enough time to binge your way through the second season of Stranger Things. If you did, then you are familiar with the newly introduced character, Max. 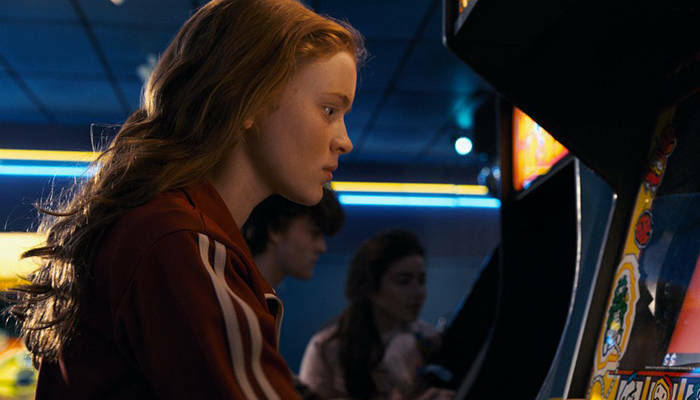 Played by Sadie Sink, Max is a full-blown skater right down to her vans and vintage ‘80s Madrid board. While she does a great job in this role, Sadie Sink had never stepped on a skateboard before being cast. Sadie recently sat down with Vanity Fair, and gave some insight into what it took to learn to shred. She also reveals that Finn Wolfhard, who plays Mike, also skates. Luckily, Sink eventually got the hang of the sport—and sometimes, she had company. Finn Wolfhard, who plays Mike, also skates, Sink said, and would occasionally join her for her skate lessons. But while he knew what he was doing, the novice Sink was loaded down with safety gear. Head over to Vanity Fair to read the entire article. Stranger Things Season 2 is currently available for streaming via Netflix. This year’s In Transition winner, and consistent contest contender, Willy Lara is no stranger to pressure. Check out the recap from this year’s events.